At least 29 people were killed and 45 others were injured following a string of attacks on North Sinai’s town of al-Arish Thursday evening, Egypt’s state television reported, citing a health ministry official. According to state TV, ten mortars and a carbomb hit the North Sinai security directorate earlier. An army battalion was also targeted in the carbomb attack. Egypt’s state newspaper al-Ahram’s office was reportedly destroyed in the attack, Reuters reported, citing state TV and Ahram. There was no immediate claim of responsibility of the attack. 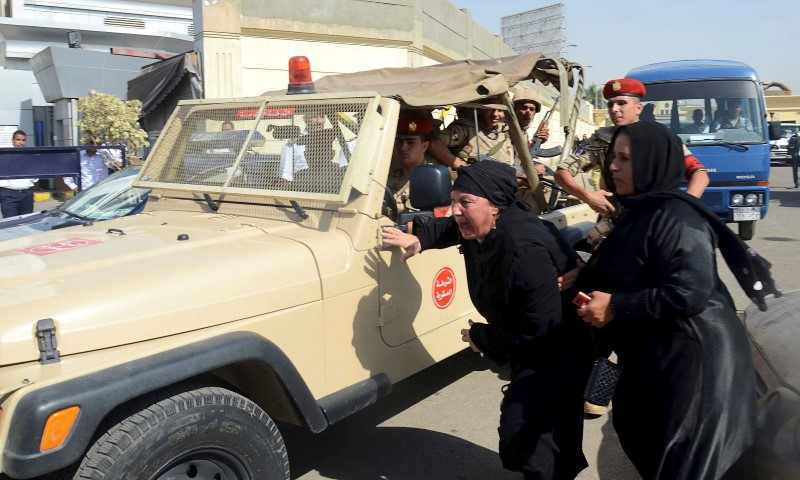 President Abdel Fattah al-Sisi declared a state of emergency and a curfew in the border governorate last October, in reaction to a militant attack which left over 30 security personnel killed. The curfew will be enforced until April 25, the cabinet said in a statement. Militants have stepped up attacks targeting security forces in Egypt, particularly in the Sinai peninsula, since the ouster of Islamist President Mohamed Mursi in July 2013.